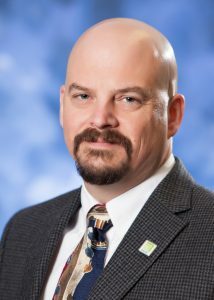 Home>Intellectual Infrastructure, Meet Our Staff, Staff>Robert E. Nunley, M.S. Nunley joined MATRIC in 2013 as Pilot Plant Programs Manager. In this capacity, he oversees the construction and operations of pilot plants in MATRIC’s facilities and the build-out of skid units for shipment to customer locations.Nunley has 20+ years of engineering experience in the chemical industry with a broad background spanning multiple functions including: process design and development, manufacturing and project techno-economic-chemical-design-technology-improvement. In prior positions, he supervised plant operations, production and raw material planning and has extensive startup, troubleshooting and crisis techno-economic-chemical-design-technology-improvement experience. Nunley served as lead engineer on projects ranging from $2M to $20M. Nunley joined MATRIC in 2013 as Pilot Plant Programs Manager. In this capacity, he oversees the construction and operations of pilot plants in MATRIC’s facilities and the build-out of skid units for shipment to customer locations. Nunley has 20+ years of engineering experience in the chemical industry with a broad background spanning multiple functions including: process design and development, manufacturing and project techno-economic-chemical-design-technology-improvement.